Thunderstorms are a spectacular manifestation of electrical discharges of thunderclouds, and have fascinated humans through millennia. There is a dark side of thunderstorms as thousands of lives are lost every year worldwide, making them a leading cause of death by natural disasters. The technique of muon imaging developed by GRAPES-3 collaboration showed that huge voltages develop in supercharged thunderclouds. The voltage produced by a thundercloud on 1 December 2014 in Ooty measured 1,300,000,000 Volts (1.3 GV) across its height, which is 10 times larger than the previous record voltage of 0.13 GV. This verifies the 90-year-old prediction of 1,000,000,000 Volts (1 GV) by C.T.R. Wilson. 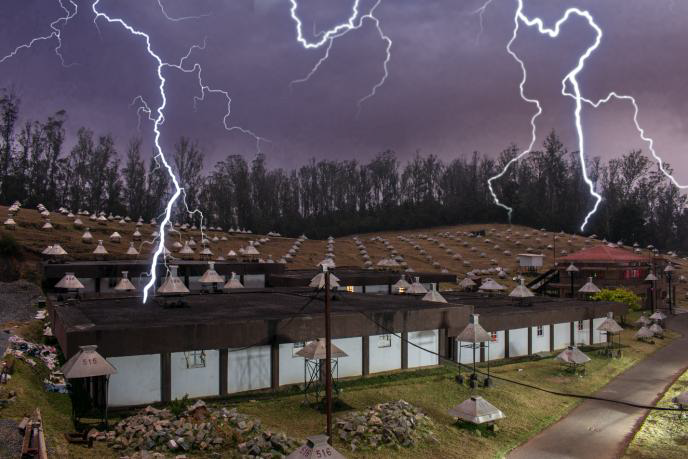 Such massive voltages are essential for the production of high-energy (100 MeV) gamma rays in the Terrestrial Gamma Ray Flashes (TGFs) emanating from thunderstorms, first discovered 25 years ago.